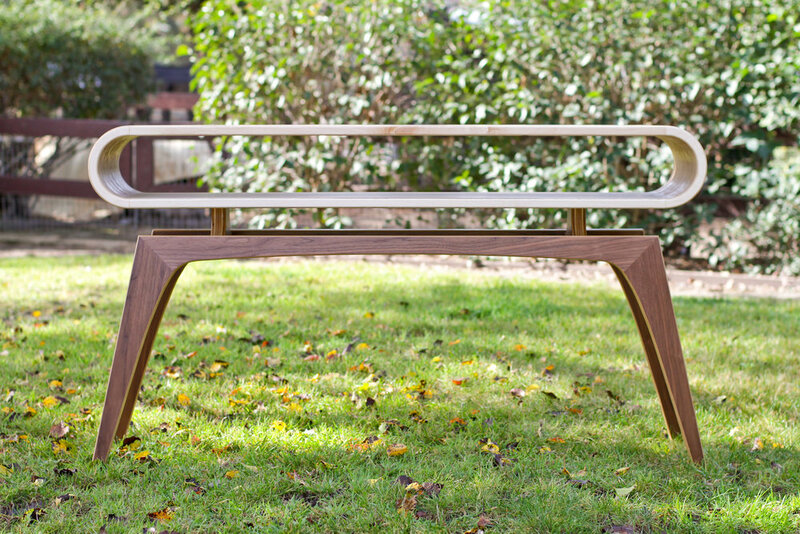 The B-Side Console Table is one of the newest members of the Super Ply collection. 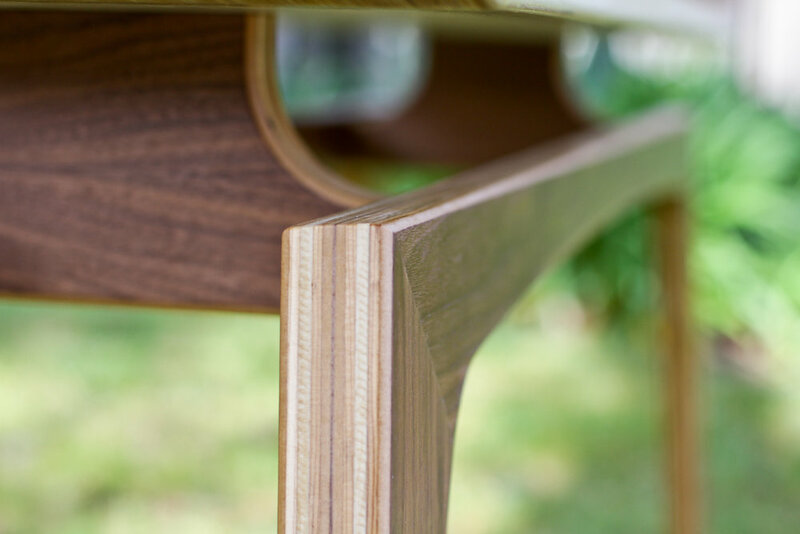 Featuring a layered plywood top, and a Walnut veneered plywood base, this table lets the materials sing. The entire table is made up of 112 individual pieces, each one handmade. No CNC machines here. 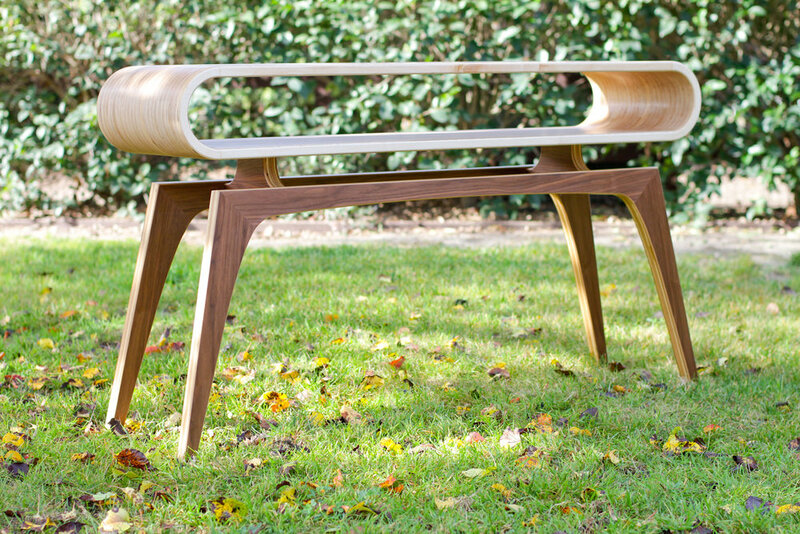 With smooth curves and interesting materials, this table is sure to be a focal point wherever it is.